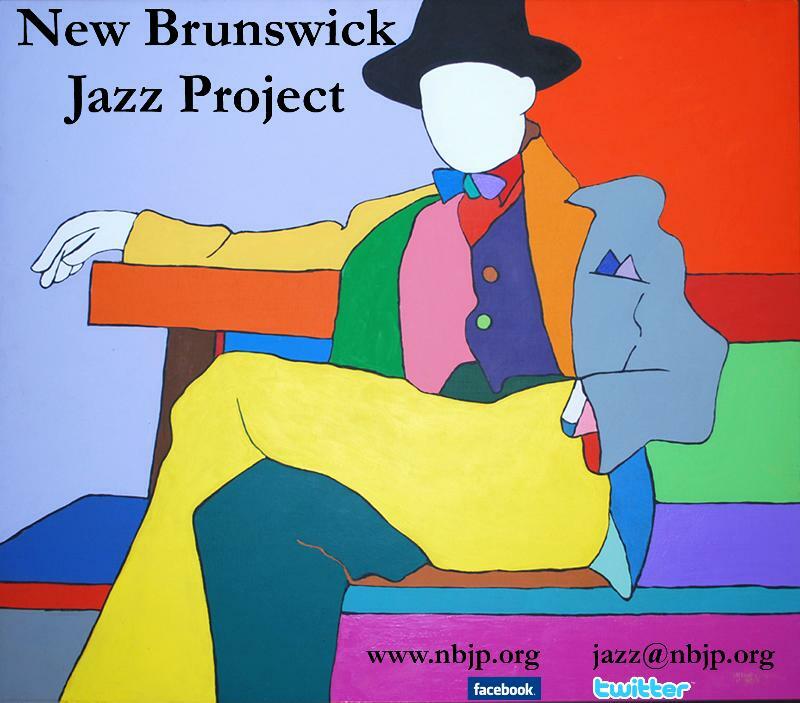 Part of NBJP's mission is to showcase the next generation of jazz musicians... the future "greats!" This is a chance to see them NOW! 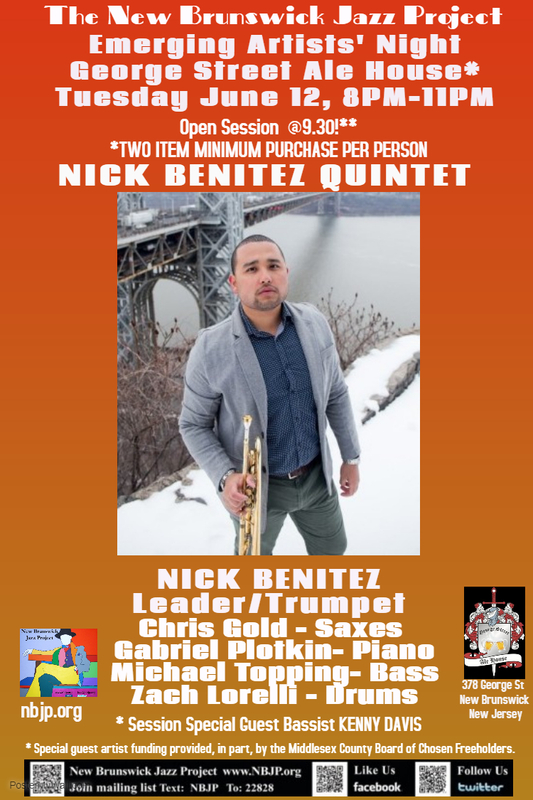 Trumpeter Nick Benitez leads the band and session on 6/12 and our Session Special Guest Artist* is renowned bassist, Kenny Davis. DC native Bruce Williams has performed, toured, and recorded with a long roster of jazz legends such as: Little Jimmy Scott, Frank Foster, The Lincoln Center Jazz Orchestra, Stanley Cowell, Louis Smith, Cecil Brooks III, The Count Basie Orchestra, Curtis Fuller, and Roy Hargrove to just name a few. 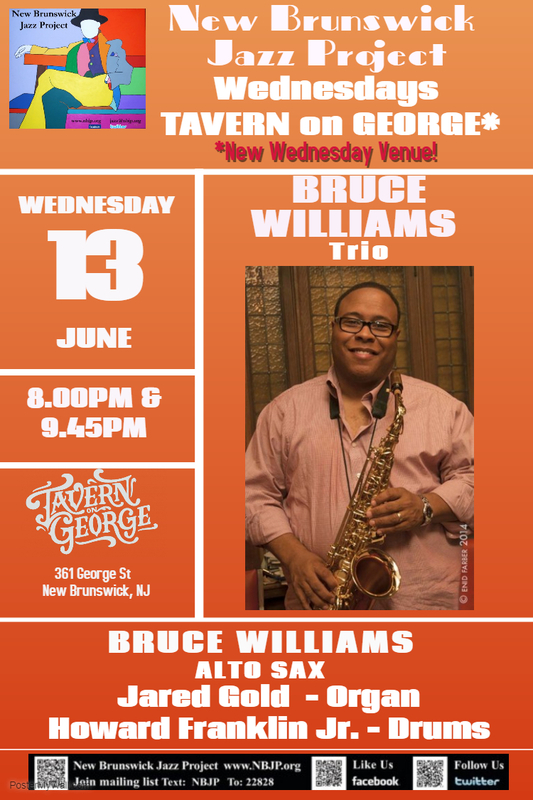 Bruce has given master classes at Ohio State, Iowa State, The Jazz Institute of New Jersey, The University of the District of Columbia, Princeton University, NJPAC "Jazz For Teens" program, and the Paris Conservatory. 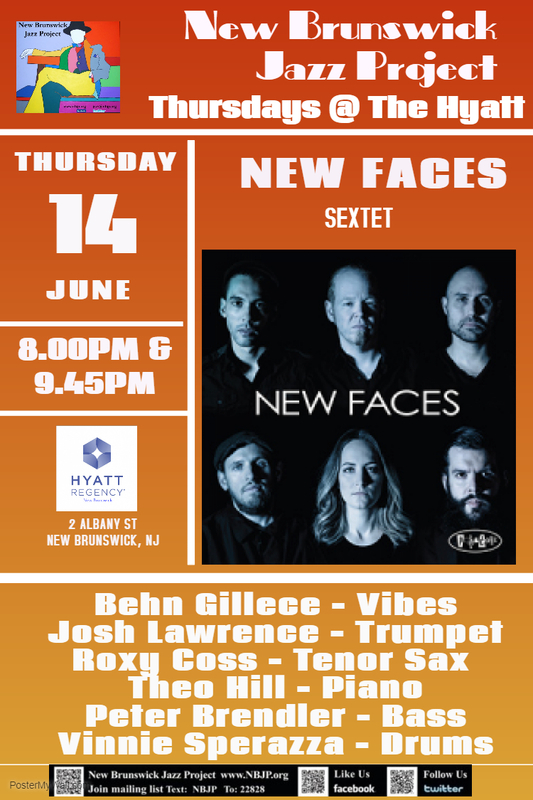 New Faces is a band comprised of players who are in the process of establishing themselves as leaders. The band is chock full of capable soloists, none of whom dominates or detracts from the proceedings. Daralyn Jay is as capable of scatting her way through a swing chorus as tossing soulful riff. Not one for mere pyrotechnics, her deeply felt connection to the lyric and rhythmic approach have earned her respect on the NYC music scene. She interprets tunes incorporating rarely performed verses and using French, Portuguese and Spanish lyrics to tell the story. 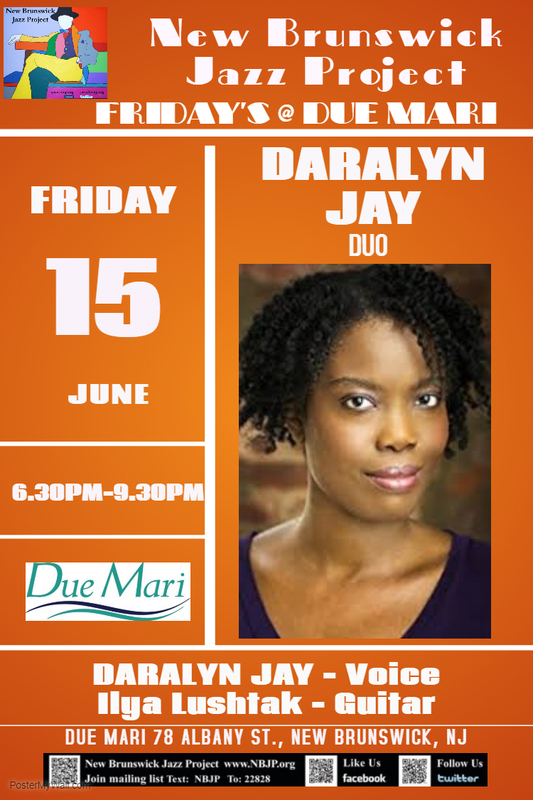 Daralyn has appeared on the stages of top NYC venues including The Kitano, Minton's, Dizzy's, Smoke, Cleopatra's Needle and Le Cirque and was one of the Top 15 finalists in the 2016 Sarah Vaughan International Jazz Vocal Competition.